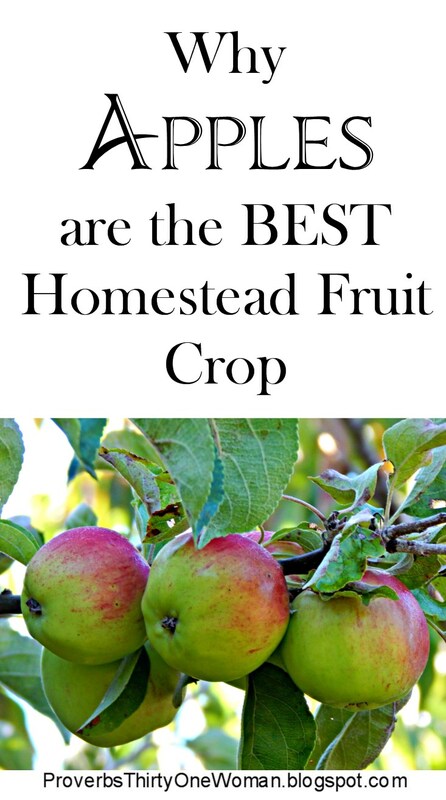 I've already written about the perfect homestead vegetable crop; it's high time I write about what I believe is the perfect fruit crop, too. There are lots of easy to grow fruits out there, and all of them have their importance for urban and rural homesteaders, but as far as I'm concerned, there's a hands-down winner every homestead should have: Apples. a single apple tree can provide 130 lbs. or more of food each year? Holy smokes! I'm so thankful for their heartiness and abundance. * Apples are filling. In my opinion, apples are more filling than any other fruit (probably because of their water and fiber content). When times are hard, you can count on apples to fill bellies. It's the reason Johnny Appleseed gifted pioneers with apple seeds! 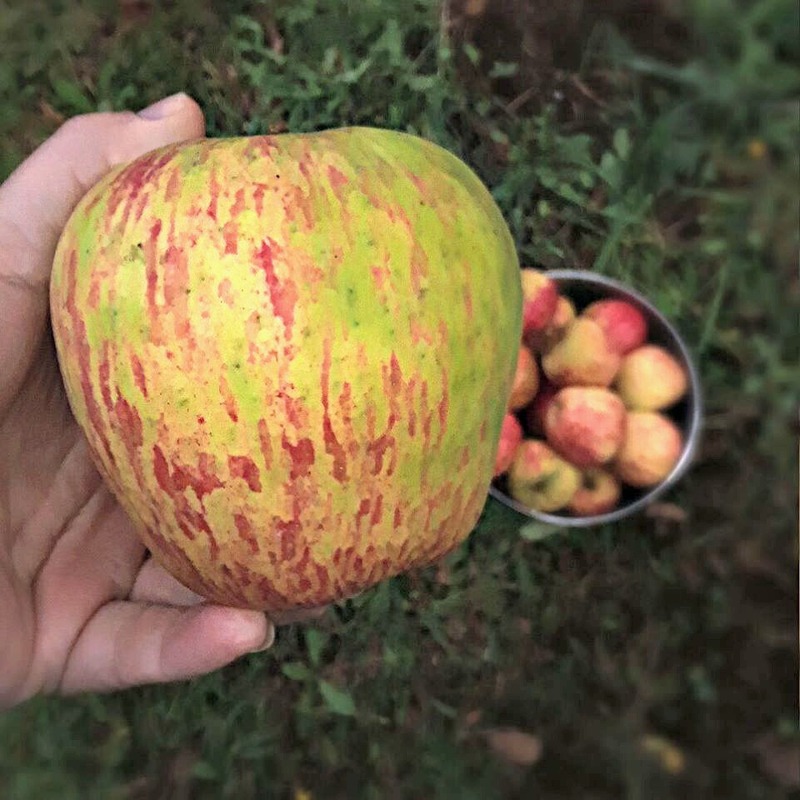 These beauties from our orchard are a meal unto themselves! Immature apples on our homestead. * Apples are versatile. Eat them by themselves, make them into a dessert, turn them into a savory dish, squish them to make something to drink, and use the scraps to make vinegar! Homemade applesauce is healthy and delish. * Apples are good nutrition for homestead animals. Pigs, cattle, goats, sheep, rabbits, and chickens all enjoy eating apples. Not only are they a natural, healthy food for animals, but it helps cut down on homestead feed costs, making critter-keeping more affordable. 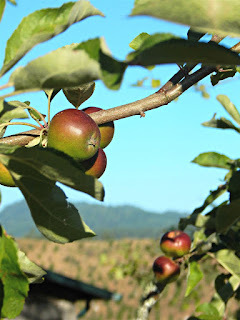 So if I had to choose just one type of fruit to grow on our homestead, it would, without a doubt, be apples. Wax Costing on (Store Bought) Apples: Is it Safe?